Even from their names, you already know what those dastardly little wretches can be. Ants are evil! Have you been bitten by a fire ant before? You sure don’t want to know what it feels like. Trust us, it’s better imagined than experienced. Without a doubt, ants are a terrible ilk of pests and just look at the kind of militant names they even give themselves: soldier ant, red ant, fire ant, Pharaoh ant. Those names already reek of havoc, well, except sugar and that just sounds darling. But anyway, that’s not the point of our discourse today; the point is that we need to kick these guys out. Now, the problem is that should you try to intentionally or unintentionally disturb them, you’re in trouble. They will bite and sting you so bad. And how do you think that will hurt? Hint: fire ant. It would literally feel like that part of your body is on fire. Nuff said. How do we get these bad guys off our backs? There are different options from baits to traps, to sprays. But today, we are going to be focusing on ant baits. What are ant killer powders? Ant killer powders are among the fastest ways to deal with an ant infestation. They are a combination of bait in powder form and a slow-active poison that the ant workers willingly bring to their nests. The reason ant killing powders are so effective is precisely that ant workers carry most of the food they gather back instead of consuming it themselves. Ants have two stomachs – one called mesosoma that’s situated in the middle section of their bodies, and a second one called rostrum that’s in their hindquarters. Ant workers use the second stomach to digest their own food but the first stomach to store the food they will later puke on their queen’s mound. And with ant queens laying literally thousands (sometimes tens of thousands) of eggs per day, killing the queen and her eggs, larvae, and pupae is really the only viable way of dealing with an ant infestation. That’s why ant killing powders work so well. Ants don’t really chew their food as their two mandibles are the only “teeth” they have. Instead, they try to break it with their mandibles as best they can but from then on they rely on their saliva and stomach acids to do work. In other word, ants don’t do too well with solid foods and prefer things in liquid, gel or powder form. Powder form makes it easy for us to cover large or intricate terrains so that the ants are incapable of missing it. With powders you can literally encircle the holes ants crawl out from, guaranteeing that they will have to go through the powder. Dry powder is more convenient to carry, store and use. Some need to be watered into a paste while others work just as well as dry powders. Where can ant killer powders be used? Another great advantage of ant killer powders is that they can be used both indoors and outdoors. As most of the time (depending on their active ingredient which we’ll get into later) ant killer powders are not dangerous to humans via skin contact and don’t contaminate the air around them, they can safely be placed anywhere indoors and not affect our day-to-day life and activities. Similarly, ant killer powders can be placed anywhere outside and as long as they don’t get blown or washed away by the elements, they will do their job. Keep in mind, however, that ant killer powders can be toxic to plants (again, depending on their active ingredient) and are also best kept away from pets as they can try to lick them. Boric Acid and other Borates: Although mostly used against grease ants, boric acid, especially because it’s mostly mixed with sugars and syrups, is very attractive to all kinds of ants (especially Argentine ants) all through the year. Ants will usually pick up ant killer powders containing boric acid and take them to the mound to feed the queen which in turn kills her and the mound (You’ll find this ingredient in boric acid fire ant killers). As for toxicity, borates are naturally-occurring substances in food and are not very toxic. They cannot be absorbed by the skin. For plants though, borates are toxic. Insect Growth Regulators: These are used to inhibit the growth of insects and are particularly effective against fire ants. Methoprene and pyriproxyfen are prime examples. 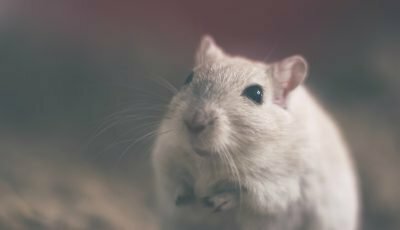 They have lower acute toxicity but longer-term toxicity to humans. To aquatic life though, they are downright toxic, so dispose of them carefully. Avermectin: Sometimes known as abamectin, this ingredient is highly toxic, however, in a concentration of about 0.01%, (which is the concentration found in ant powders), it has just low acute toxicity. At very low doses though, avermectin is still quite toxic to fetuses. Thankfully, it is not absorbable through the skin. Metaflumizone: Baits containing metaflumizone are targeted at fire ants in particular and can come as granules or pellet formulations. Its toxicity is really low but it can affect development and reproduction when absorbed at moderate to high doses. (S)-Indoxacarb: This is especially effective against fire ants and has a very low acute toxicity. Fenoxycarb: This particularly targets fire ants and has low acute toxicity. It isn’t absorbable through the skin but if exposure is long and continued, fenoxycarb can affect the liver. Hydramethylnon: Hydramethylnon is used in several kinds of baits including liquids, gels, and granules. It’s best and most effective against Argentine ants, carpenter ants, and fire ants. Its toxicity is really low and cannot be extensively absorbed through the skin. Hydramethylnon is toxic to developing fetuses and it can interfere with reproductive activities when consumed even at moderate doses. So, let’s go over all the main factors that you’ll need to consider before making a purchase. What type of ants you’re dealing with? The more stubborn species of ants such as fire ants and carpenter ants usually aren’t too affected by a general ant or insect killer powders. Instead, they have dedicated products with active ingredients that target them specifically. Metaflumizone, for example, targets fire ants, while Hydramethylnon is designed to be effective against carpenter ants as well as fire ants. 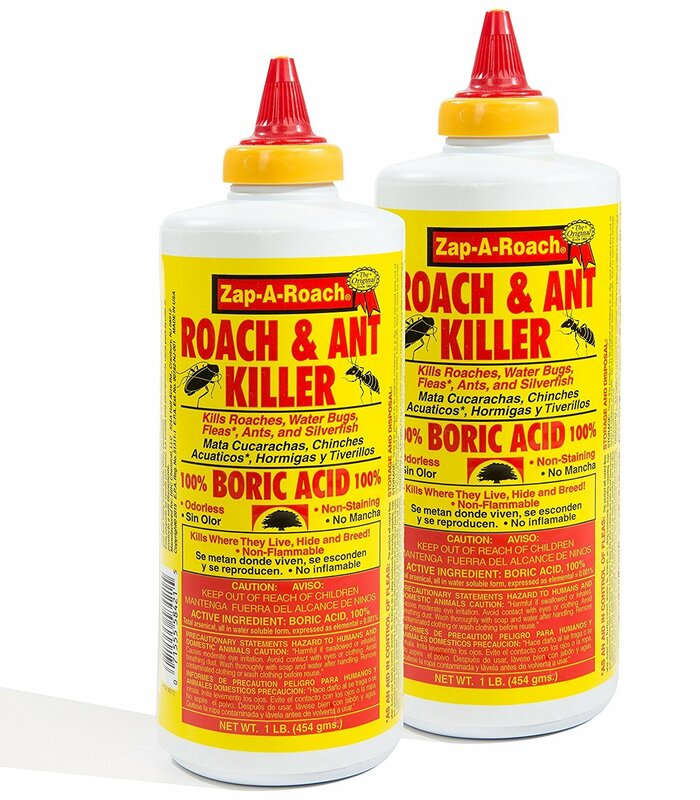 Boric acid, on the other hand, is generally effective against all types of ants but might be slower to affect more pesky species such as fire or carpenter ants. Make sure to find out before you purchase, because, if, for instance, you have an onslaught of fire ants, buying a general ant killer might be an ineffective course of action for you. Do you want the powder to work against other types of insects? Many ant killer powders are actually all-purpose insect killer powders. 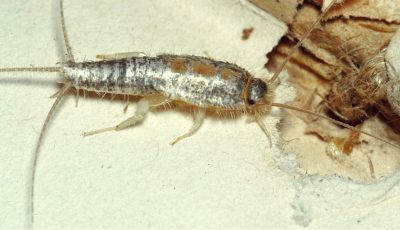 If you encounter other insect types around your home such as cockroaches, choosing a powder insecticide with a wider range of action can be a smart way to go about it. Do you want the powder to require water or do you need it to work in regular powder form? Some powders need water to turn them into a paste-like substance to be effective. One benefit of this is that the paste will be less susceptible to wind. On the other hand, if you’re going to use the solution indoors you might not want to have to pour water on a pesticide on your kitchen counter. How long-lasting do you want the powder to be? Some powders are meant to have a lasting effect on the target area of up to a month or even more. And while this sounds like a benefit, sometimes it isn’t because you might not need them to last that long. Especially with ant killer powders such as those using Insect Growth Regulators, exposing yourself to them in the long-term can be a dumb idea since they have a long-term effect on humans even though they are safe in the short term. Check out the NPIC (the US National Pesticide Information Center) for more info on Insect Growth Regulators. Do you want the ant killer powder to be odorless or to have an odor? Powders such as those made from Boric acid, for example, typically don’t have an odor because the acid itself is odorless as PubChem points out. Other ant killer powders, on the other hand, can have an odor designed to attract both ants and other insects. Choosing between these two options depends mostly on whether you’re about to use the powder indoors and whether you have pets. If you want to apply it indoor than you might want to choose an odorless powder, otherwise your hole kitchen or home can start smelling like the powder. And if you have pets, odorless powders are the safer bet both for indoors and for outdoors as they’ll be less likely to attract your pet’s attention. Is the powder meant for indoor or outdoor use? Most ant killer powders can work in both environments but that doesn’t mean that some aren’t better for outdoor use. Some powders have properties such as an anti-moisture, anti-UV light, and anti-heat formulas that make them more durable when exposed to the elements. On the other hand, some ant killer powders – like those using Boric acid – are toxic to plant live, so using them in a garden can be a No-No. Pay attention to the applicator of the powder. Ant killer powders aren’t the most complicated products to use or set up but it helps when the tube they come in has an adequate applicator cap. Most of the active ingredients in ant killer powders aren’t toxic through direct skin contact to humans, but a nice and well-working delivery mechanism can still make your life easier. Consider the price. 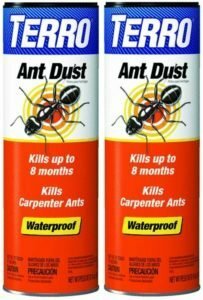 When comparing ant killer powders don’t just look at the flat price of each product but consider how much powder there is in each tube, how much of it needs to be applied, how long-lasting their effect is, and take all these factors in relation to the price. Buying a cheaper product can often turn out to be more expensive in the long run because you might have to buy more of it later on. If all this feel convoluted and complicated then don’t worry, it’s actually simpler than it sounds. And while it’s normal for there to be a certain period of trial and error with such products, it’s best if you find the right product immediately. To that end, considering the powder’s brand is also smart. Yes, branding isn’t everything – there are popular brands with awful products and unknown brands with high-quality items – but when you are new to all that, paying attention to brands is a good starting point. Here are some of the brands we’d recommend: Enoz, Bengal, Ortho, Safer Brand, Bonide, Surrender, BorActin, Schultz, Terro, and Zap-A-Roach. But how should you use an ant killer powder, exactly? As such powders are supposed to mimic food, it would seem that you can just place them anywhere but that wouldn’t be effective. Keep in mind that even though ants are omnivores they can actually be picky eaters too and may very well circle around a pile of ant killer powder if it doesn’t strike their fancy. Ideally, that won’t happen or you’ll use a more attractive powder next time, but to maximize the effectiveness of whichever product you’ve chosen it’s smart to pour it near the ant’s pathways, around their nest, around the holes and openings they tend to crawl out of, etc. One of the great benefits of ant powders is that you can position them however you like and give the ants no choice but to pass through them and get at least some of it on their bodies. When you use an ant killer powder, keep in mind that it is different from a spray or a trap. It will definitely cause more ants to gather at the point of application. You might be tempted to use a spray on them but that defeats the purpose. What you want is for the ants to be attracted to the bait, pick them up and take them to their queen. Using an insecticide on them will scare them away. As for your well-being, basic protective gear is always advisable when dealing with pesticides. Yes, the vast majority of ant killer powders are harmless to direct human skin contact but they can still enter your eyes, nose or mouth should even a light breeze blow in your face for a second. And if you have to apply a lot of ant killer powder there is always the risk of some of it sticking under your nails or on a small open scratch wound you’ve forgotten about. Basically, a simple face mask and rubber gloves are always a good idea. Pets will definitely be attracted to anything that smells and looks like food. So, if you’re going for a food-based ant killer powder or something with a strong sweet smell, then you might have a problem. Instead, go for something that’s more innocuous so it doesn’t catch their attention. As for the locations you choose for the powder, while it’s smart to pour it where it’s going to be most effective, if you have small kids or pets in your home you should also consider pouring the powder on places that they can’t reach. With this understanding now, let’s get down to the reviews of our top ten picks! Other features: Attractive to ants; kills queen; destroys mound. With several years under its belt, Scotts Miracle-Gro is a well-established brand with several brands under its auspice. From its inception up until now, Scotts Miracle-Gro has made it a point to make daily living a much more enjoyable experience and to ensure that this goal is achieved, it has diverse lines of products of which Ortho is one of its leading subsidiaries. Ortho is that brand under Scotts Miracle-Gro that caters to pest control. And its different products have proven to be as effective as expected. From weeds to pests, this brand carries several products that are highly affordable and super effective in action. Fire ants are evil and the bane of human existence, but do you know what’s “eviler” and can cut them down to size? A highly potent fire ant killer. 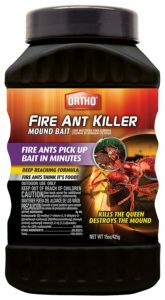 And one of the best fire ant killers you can come across, possibly ever, is the Ortho Fire Ant Killer Mound Bait. Anyone who knows anything about ants in general and destroying them knows that the most powerful individual in any mound is the queen, and so if you get the queen, you’ve got a home run. This thing is quick and effective. All you need do is to sprinkle the ant powder around the ant mound and go to bed. Because this formula is made to be highly attractive to those dastardly little things, they catch the bait in minutes. And being foragers as we all know, they carry the “food” aka “ant killer powder” into the mound to, guess what? To feed the queen, of course! They’ll probably be hanged for such acts of treason but oh well, too late, she’s already dead. And once she’s dead, you know it, the whole mound is destroyed! Hurray! Expertly formulated, the Ortho Fire Ant Killer Mound Bait comes with a deep-reaching formula, so you don’t even need to water it to penetrate deep. It destroys any mound in its path, both visible and invisible ones alike. 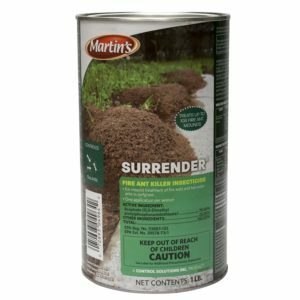 By simply sprinkling this ant powder around the mound and walking away, you can go to bed with your two eyes closed knowing that you won’t come back from your next picnic smarting from the pain of a fire ant’s kiss! 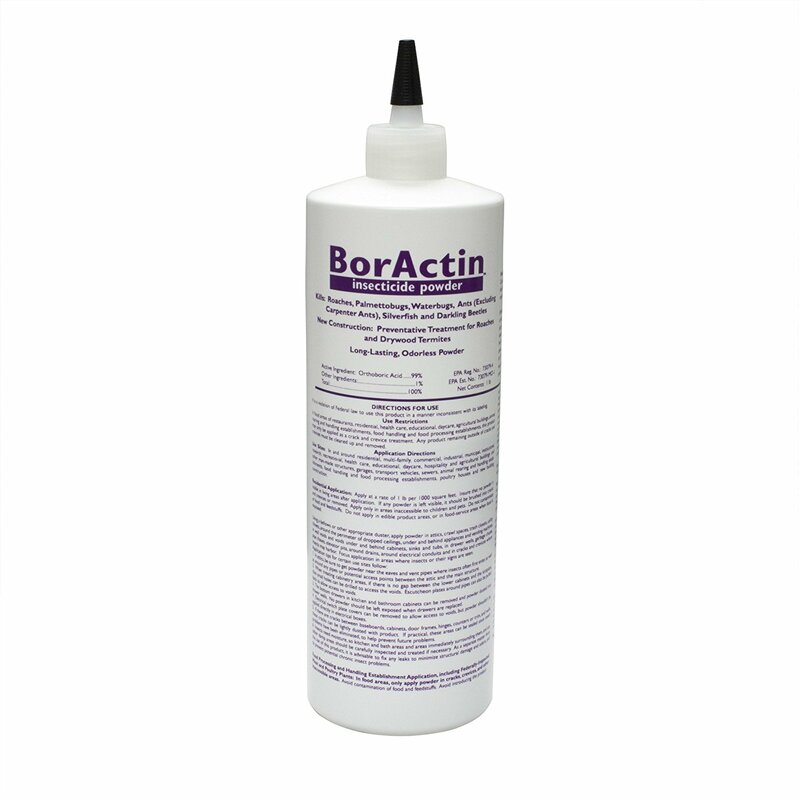 BorActin is an insecticide powder brand produced by Rockwell Labs. They are a professional pest management product manufacturer. Rockwell develops all its products themselves, in their high-tech laboratories. And later tests their products in the field, with the help of different pest management companies and universities. On top of that, all the Rockwell products, including their BorActin Insect Dust, is made and packaged domestically, in their Kansas factory. So you can be sure that Rockwell offers only the best and rigorously tested products and supports the local economy by doing everything in-house. 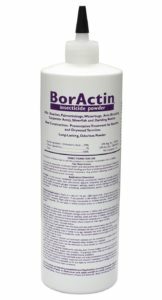 The Rockwell Labs BorActin Insect Dust is an amazingly effective product. 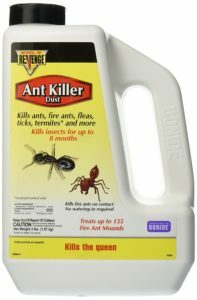 This insect killer powder is truly a killer product as it kills everything from ants to roaches in a super short time! The application is pretty easy and straightforward. Simply apply the product to the area you want to treat and let it do its job. Just make sure to place this Insect Dust in areas that can’t be accessed by children or pets. Or at least sweep up the powder before allowing your kids and pets in the area. On top of that, you don’t have to make sure that the entirety of the area you want to treat is covered in this powder. A few sprinkles will do the trick and the powder will easily knock dead ants, cockroaches, and other annoying insects. And a little of this powder goes a long way, too, because with just 1 pound of the BorActin Insect Dust you will be able to cover quite a large area. So you can see how this product is easily one of the best fire ant killers and other pest killers on the market. Trust us, this is simply one of the better options to get rid of ants. It’s super effective, super affordable and will do a fantastic job of taking out those nasty little things in no time. From flyswatters to moth cakes Enoz has established itself as the household pest control brand of choice when it comes to getting rid of all types of household pests. Enoz has been tested and approved by consumers and its products are available on the shelves of many trusted retailers in the world. So Enoz products are helping homeowners all over the world rid their homes of nasty pests, insects, and bugs. Because Enoz builds its brand around respect for people and for the environment, it makes sure to put the safety of both people and the environment first, preserving natural resources where it can, and minimizing its carbon footprint. The Roach Away Boric Acid Powder, for example, was made to help keep you safe from roaches, ants and all the diseases their tiny little feet can carry into your home. If you’ve ever walked into your kitchen only to find ants all over the place, you know exactly how important an ant killer is. Even if you’ve never had an ant problem before, what do you do when a new neighbor brings the bugs along when he moves in? You retort to using a product that is guaranteed to help you exterminate these bugs from your space. With the Enoz Roach Away powder, you should be able to be completely rid yourself of ants in no time. Many people who have tried baited traps without success have been impressed by the results boric acid gives since it’s the only known substance that bugs haven’t built immunity to. Which means that Roach Away doesn’t only get rid of roaches and ants. It works just as well if silverfish, waterbugs, or palmetto bugs are the problem. Or if you are simply looking for a fire ant killer powder. What’s more is that thanks to its carefully calculated formula, you don’t need to worry about strong acidic smells invading your home all because you want to get rid of bugs. And while it doesn’t kill on contact as sprays do, it does not lose effectiveness over time – as long as it stays dry, it will stay active. Because boric acid sounds well, acidic, you may begin to worry about ant killer powder poisoning but as long as your kids and pets don’t have a habit of snooping around under your cabinets or behind the fridge and stove, you wouldn’t need to worry about it anyway. But if there’s even a remote possibility they would come into contact with this ant powder, take precautions to avoid it or don’t use this product. That said, if your home is still under construction, you are in much better luck, applying it to the framing before sheetrock and insulation are installed will be the smartest thing you’ll ever do. Control Solutions Inc. cares about you, your animals, and your yard, that is why CSI has been in the business of providing economical yet effective solutions for pest control, and health care for animals among other things. CSI’s Surrender Fire Ant Killer is the true definition of effective for cheap. Because CSI has exclusive access to some pretty insane active ingredients, Surrender was made using Acephate; the ingredients specifically designed to exterminate fire ants. 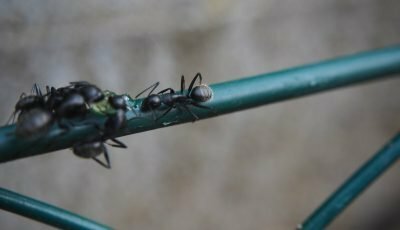 The Fire ant killer works pretty well against fire ants, harvester ants, and though that’s all the company mentions, it works just as well as carpenter ant dust and even kills the infamous Texas leaf cutter ants! Because the government, for environmental reasons removes almost every effective fire ant control that comes on the market, people living in places like the Texas Gulf Coast region, have accepted fighting with the ants as a part of living but CSI believes that it shouldn’t be so. CSI has managed to keep Surrender in the market for this long as proof that it truly is the real goods. One cool thing about this dust that really deserves mention is that it can be easily mixed with water to form a liquid spray when you need to really drench those mounds and a can will comfortably treat up to 108 ant mounds! Talk about setting fire ants on fire. 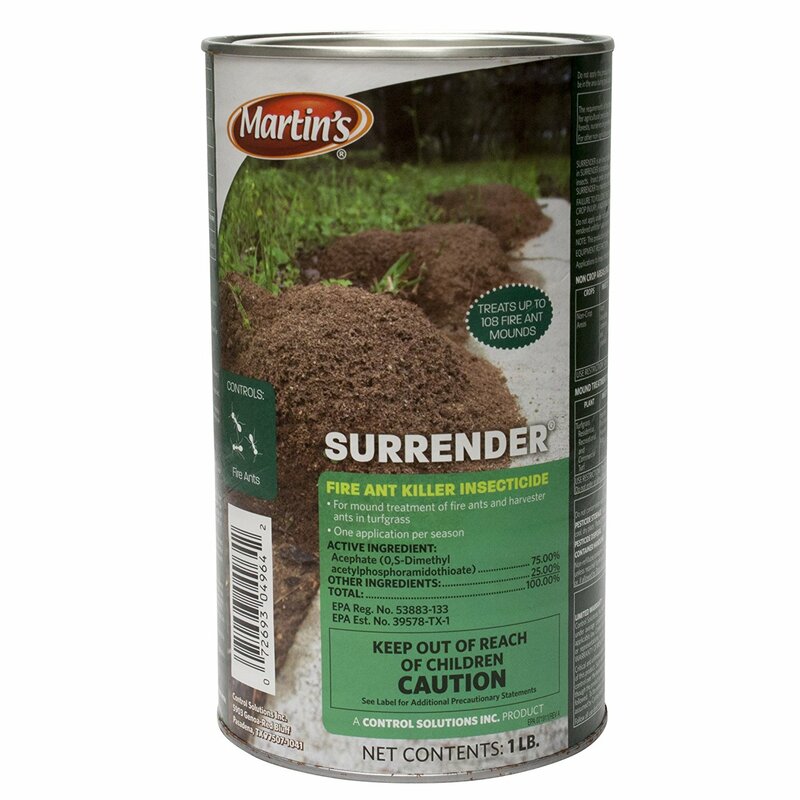 Surrender can be used on lawns, turfgrass, roadsides, fencerows, ditch banks, and literally anywhere outside. Just two tablespoons on a mound kills it in 24 hours but to avoid letting the queen go on to reestablish a few yards away, it’s best to sprinkle a tablespoon over the mound, then pour the other down the hole (using help from a stick which you quickly toss aside after use of course). With this, CSI just gifted you the opportunity to reclaim your patio from its official status as the Community Ant Hotel. In fact, you can use it to reclaim your environment from an infestation of just about anything that crawls or creeps like roaches and even flying insects like wasps. Zap-A-Roach makes some of the best insecticides. It believes that every home-owner has a right to his or her space and shouldn’t be bullied by pesky insects like roaches, bugs, ants, and fleas. So, if you are that home-owner with an insect infestation, then be rest assured Zap-A-Roach has something to help you deal with that unpleasant experience. You should give its products a try and see how quick those annoying things can leave your space. 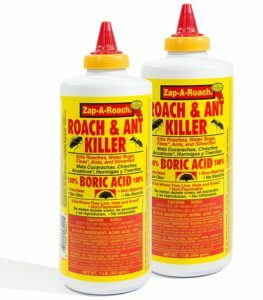 Its Boric Acid Ant and Roach Killer is that fire ant powder that conveniently does the job of an ant nest killer to rid your homes of pesky insects like roaches, ants, bugs, and fleas. It is easy to use and quite effective when applied in the bugs’ favorite places. Just target those areas and put an ample amount of this powder right where the insects’ trail. Usually, the ants will walk into this powder without knowing what it is. In fact, sometimes they take a lick of the powder. And because they don’t vomit, the powder stays in their system for a short while before they start getting dehydrated and eventually die. In a case where there’s no eating but walking-in only, the powder gets attached to the arthropods’ legs, they take the powder to their nests where their relatives and eggs are, and this boric powder kills a good number of them in no time. So, whichever way they choose to walk into their demise, it’s always a win-win for you. Another reason we think this insect powder is a must-have for you is that, unlike some chemical sprays that will require you to leave the room or your entire house after application because of their pungent smell, this one doesn’t give off any smell at all. In fact, you may even have your friends visiting while you deal with an infestation. If you are worried that it may stain surfaces in your home, we think you should put your troubled heart to rest right away because it doesn’t leave stains. Your surfaces are always protected. To use it, shake the bottle well and twist open the cap. Then hold the bottle at an angle of 45 degrees and squeeze its contents on target areas. Apply liberally to every area of your home where you think the insects may be lurking in and watch them rest in peace while you get your space back. PS: This ant killer is not suitable for use around kids and pets, and areas where food is being processed. Avoid inhalation or swallowing because the ingredients it is made with are quite toxic and harmful. Target insects: Bedbug, Ants, cockroaches, centipede, millipede etc. Safer Brand is unarguably one of the world’s leading manufacturers of insect and plant disease control as well as organic gardening solutions. You can trust its 20-year old wealth of experience in the field to know that choosing its products means choosing an effective solution to a problem you may have that is within its scope. For instance, if you have to deal with an infestation and you need an ant poison powder, then you should go for its Diatomaceous Insect Killer. So, how does the product work? 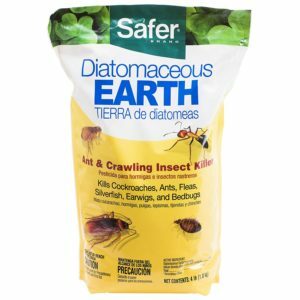 Remember it is a diatomaceous insect killer! Now, that’s not for fancy. By D.E we mean it actually contains diatoms that are practically safe to the human touch but considered lethal weapons against insect infestations. These particles have microscopic and very sharp edges that can pierce through and cut the delicate protective exoskeleton of an insect open. Once this is achieved or the insect ingests it, the affected insects get dehydrated and dry out. Be rest assured this product is effective provided it remains dry and doesn’t come in contact with moisture. What’s even more interesting about this ant killer is that you don’t have to worry about the insects developing immunity to it which may require you to get another kind of insect killer. It does its job well. You can take advantage of its efficacy by sprinkling it in the nook and crannies of your home, including the kitchen and living area, attics, garages, basements, beds, and even outdoors on the patio and its surroundings. Insects to target with it include bedbugs, earwigs, cockroaches, fleas, carpet beetles and ant crickets. You can also target millipedes and centipedes. A thin layer of this powder in hotspots where these bugs usually camp is all you need to get rid of them in your indoor and outdoor space. For safety reasons, we advise you to cover your nose and mouth with a wet cloth during application because the particles of this powder are very fine and may be harmful when inhaled. You should also keep it away from pets and kids to avoid stories that touch the heart. Then again, because it covers surfaces after application, we also suggest that you use a wet cloth to wipe off the powder from your surfaces as opposed to using a vacuum cleaner. Since the introduction of its first product, TERRO Liquid Ant-Killer, Terro has faithfully proffered home and garden solutions to its customers for 3 whole generations. Founded in 1915, this brand has grown to remarkable standards of quality and excellence and today boasts of its popular and effective ant control solutions. This Lititz-based company continues to be a renowned leader with solutions that cover almost all infestation issues that its customers may have. Its simple strategy is to kill the ants on contact. So, whether or not the ants are there when you sprinkle this powder in and around your home, you can rest assured any ant that comes in contact won’t even get a chance to say its last words before it dies. Using it is pretty easy because it comes in a shaker can. All you need to do is shake and sprinkle liberally in target areas including cracks and crevices or any other area where these pesky things are prone to hide in. What’s more? It is waterproof! And this means you can apply it even when the rains are coming. Its efficacy doesn’t reduce under moisture conditions and its residual effect stays strong come rain or shine. 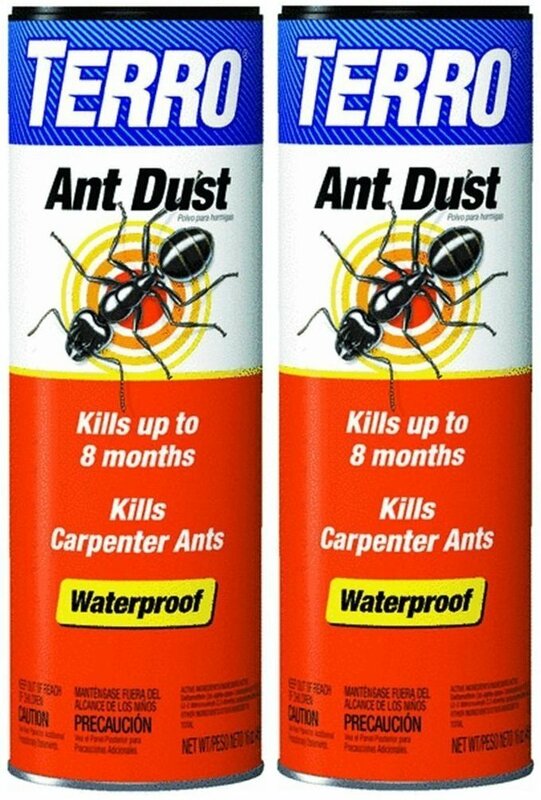 A single purchase will give you the privilege of 2 cans of this ant powder. But if you think you don’t need that much, then you can opt for the one-piece pack. However, because we know there’s love in sharing we are of the opinion that buying two will save you and a friend or relative from a troublesome infestation. Bengal is an Indian pharmaceutical and chemical company known all over the world for providing health solutions as well as home and garden solutions to many customers all over the world. Its century-old history of success and innovation has been quite instrumental in the expansion of its customer base. And not just that, a good number of people come to trust Bengal’s products because of their effectiveness and affordability. 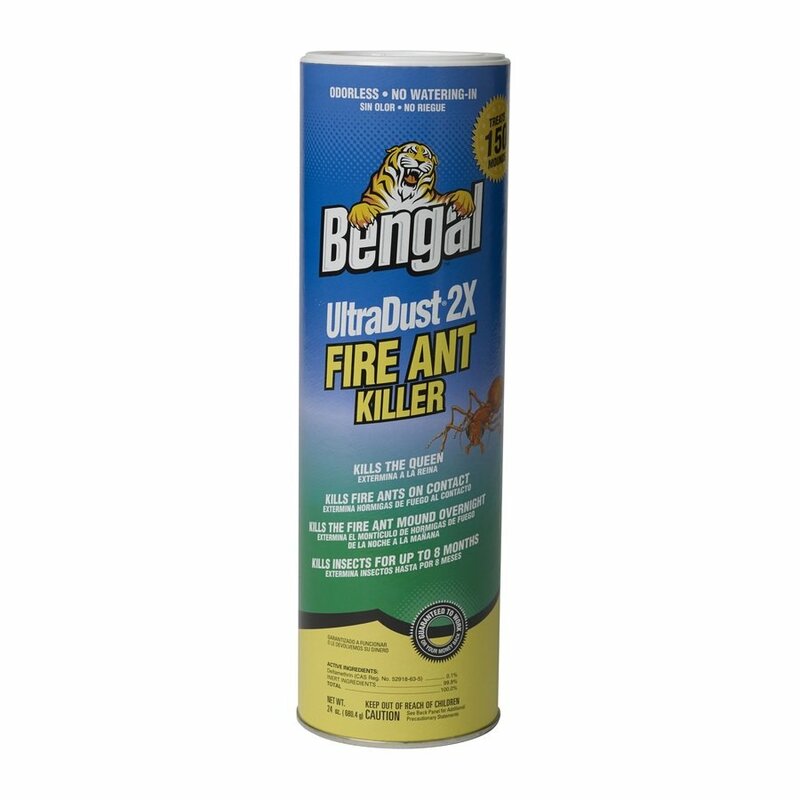 So, if you are looking for an effective ant killer we encourage you to try Bengal’s Ultradust Fire Ant Killer Powder. 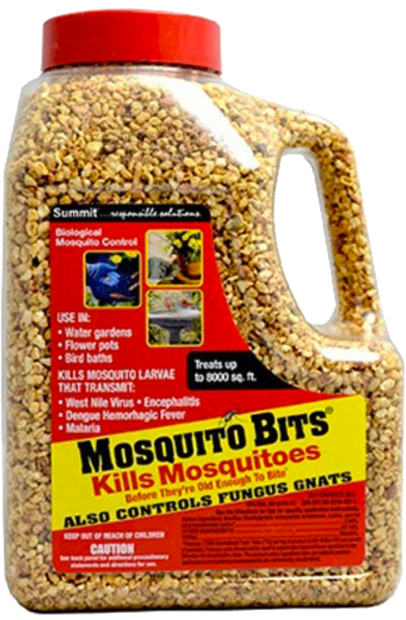 It is specially formulated with deltamethrin as an active ingredient to deal with ants in no time. This 24-ounce can of relief comes ready and easy to use. It also has no choky or unpleasant smell that will require you to leave your home or garden after use. Its ability to kill ants is amazing. And even more, it has the ability to kill the queen ant and her cohorts with a residual effect that can last up to 8 months. This means after one application in your garden or any area around your home, it will still keep killing insects that come in contact with it. What’s more, unlike other conventional ant killer powders, Bengal’s Ultradust doesn’t form clumps or absorb moisture when used. So you don’t have to worry about making a mess. It is not uncommon to see fire ants in your garden and even on flower petals. The sight of these pesky creatures in your yard alone can be annoying and even worse when they form a marching band on your precious flowers. In such cases, you have the liberty to spray this powder even on the flowers to get rid of the insects without any adverse effect on the flowers. Based on our research, we also discovered that this ant killer powder kills fire ants, black ants, sugar ants, and red ants with the ability to wipe out an entire colony. There’s no point sharing your outdoor space with unwanted guests like these ants. 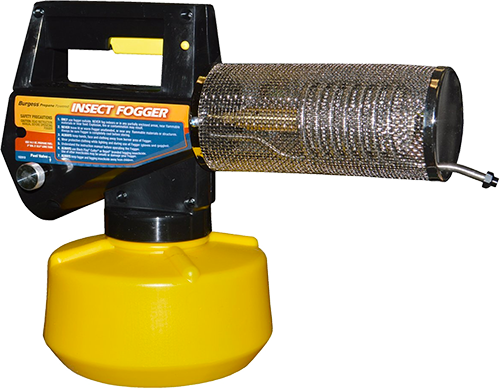 Why not make a move to own your space completely by placing an order for this powerful ant killer. You’ll be glad you did. In 1926, James H. Wurz (Jim) decided to cease working as a traveling salesman and work instead for himself. He, alongside his brother George, started BONIDE Products Inc. Though larger now, over 90 years later, the company is still committed to discovering and producing the best solutions to problems which may arise in homes, lawns, and gardens. It does this by ensuring that the products are of the best quality and are cost-effective and convenient for its customers. This dedication is seen in all its products, one of which is the Bonide Products Ant Killer Dust which is a great ant killer powder there is. The BONIDE PRODUCTS Ant Killer Dust is aptly called the Revenge Ant Killer Dust. As an ant killer powder poisoning, it is your perfect revenge against those mini bullying creatures which tend to take over your space. They work effectively to cause nuisance, and do it so meticulously! Well, no more. Unlike many other products, this ant powder is so good it kills the queen. Yes, you heard right, it kills the queen whose only job is to reproduce, so you tackle the pests from their source. Another feature, which makes this one of the best ant powders, is its killing method. It kills on contact with the pest so they have no time to heal or form resistance for the next attack. Its residual effect also lasts for long (up to eight months). This coupled with the fact that it is made in the form of waterproof dust makes it a great buy for your pockets too. It is the perfect carpenter ant killer powder, although it works on many other of those annoying creatures like spiders, bees (including ground bees), wasps, fleas, roaches, box elder bugs and even scorpions. With this pesticide, you are well protected against any exoskeletal creature, even if you stay close to the zoo! So, the BONIDE PRODUCTS Ant Killer Dust saves you money, works fast, is waterproof, gets rid of up to 132 fire ant mounds, and gives you that pleasure which comes from getting rid of pests (and their queens). Wouldn’t you rather arm yourself with it? Since 2002, Garden Safe has been collaborating with nature to produce formulas which combat pests and diseases. Shunning the use of traditional chemicals, it believes that environmental pests, plants pests, and plants disease can be controlled with its organic solutions, while nature does its thing. Its products are made of formulas which are both naturally-based and botanically derived. This tradition has been kept up by its researchers which dig deeper and discover relationships and solutions hidden between soil, plants, pests, and diseases. 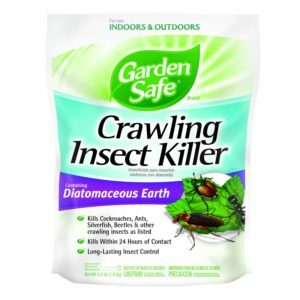 Garden Safe believes it is lending a helping hand by producing only nature-based products which include the ant killer powder poisoning, Schultz HG93186 Garden Safe Diatomaceous Earth; 4-Pound its Brand Crawling Insect Killer. The Schultz HG93186 Garden Safe Diatomaceous Earth is one of the best ant killer powders out there, seeing it would not harm your precious plants, just the pests they were made for (or against). It works within 24 hours, enough time for the pests to groan in pain and maybe wander away so you don’t get to see their carcasses. Now, when it comes to killing ants this is confirmed carpenter ant powder, but it also works against any other creature which has an exoskeleton and annoys you. It works against roaches, earwigs, silverfish, fleas, ticks, centipedes, millipedes, beetles, and even bedbugs. Diatomaceous Earth doesn’t involve chemicals so pests cannot develop immunity to it so they are sure to be dead when it gets to them. This insect killer which has no odor and leaves no stains and is the perfect insecticide for gardeners. We know you love gardening and it can be a chore getting the right insecticide for your fruits, vegetables or flowers. It is perfect protection; mild on your plants but deadly on those pests which get on your nerves with their pesky resilience. We believe having this as one of your garden care products will go a long way in retaining the pleasure gardening brings you. Away with the pests; Garden Safe Brand Crawling Insect Killer to the rescue! 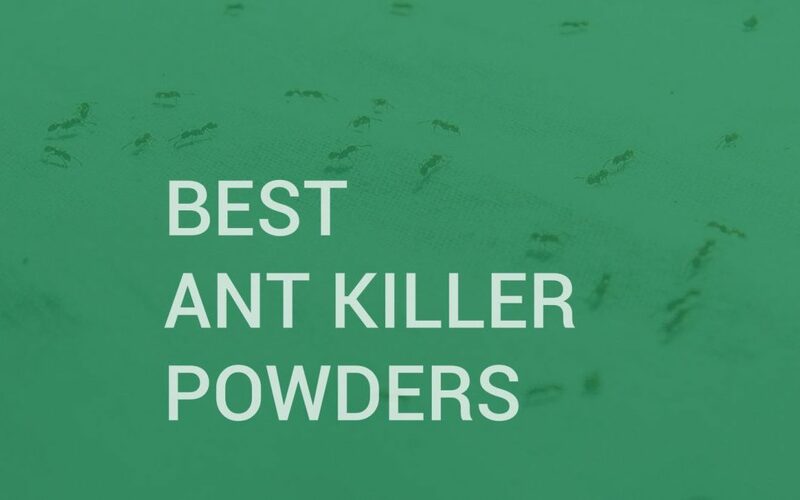 Once again, it has been our pleasure to help you make an informed choice on the best type of product for your needs, this time the best ant killer powders. Don’t let those ants run your yard. Get that ant killer and show them who’s boss!